Looking for a gift for the kids in your life that’s not just another toy? Maybe something to inspire their creativity? I’ve teamed up with KLUTZ as part of a sponsored #KLUTZhandmade holiday campaign to bring you some great gift ideas, along with an AWESOME giveaway! 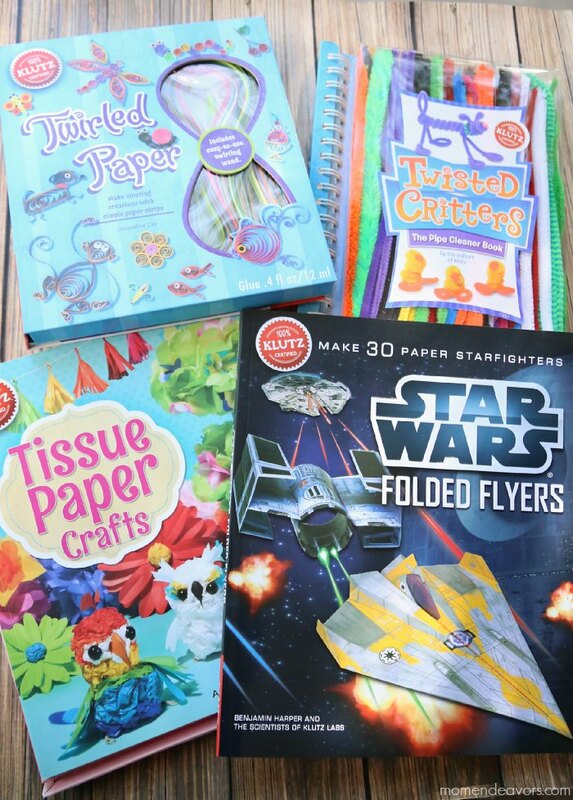 The books are filled with fun crafts and handmade gift ideas, so they really are the gift that keeps on giving! Kids love creating and they will love making special gifts for their friends & family (and themselves ;))! We received the books shown above! Aren’t they SO fun? We’re hanging on to the Star Wars Flyers book as a Christmas gift for our boys (and how perfect will that be with the new movie coming out around Christmas)?! But, we dove right in to the other KLUTZ craft books and had so much fun looking through them! Then, we decided to make one of the projects! The boys LOVE making things with pipe cleaners, so we started with the Twisted Critters book! Everything in the book is adorable! We found a cute little craft that is supposed to be a moose, but we decided to turn him into a reindeer for the holidays! 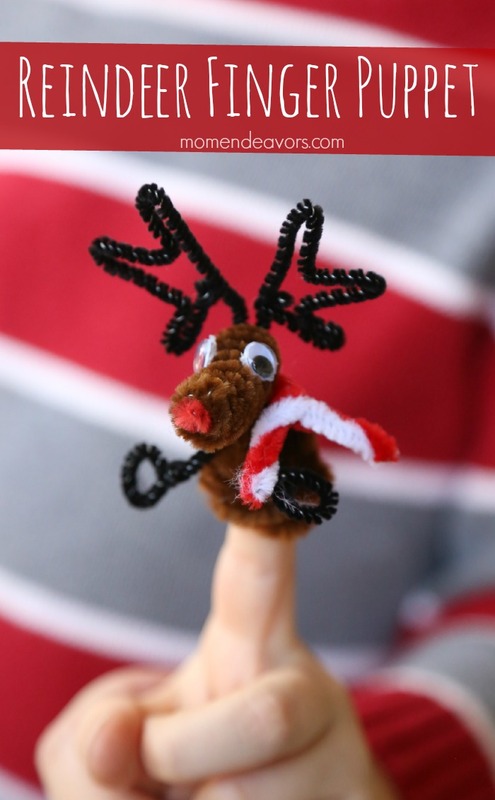 It can be a little finger puppet or you could turn it into an ornament for the tree! So fun! 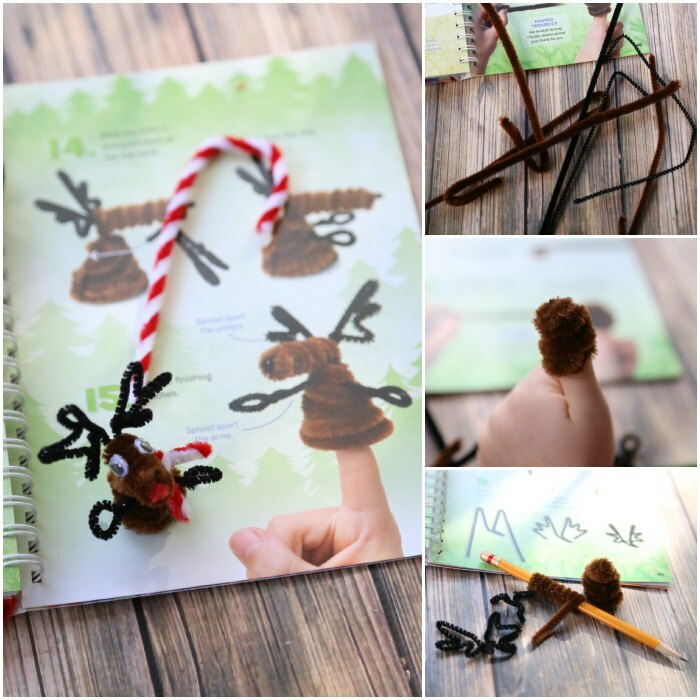 Now…how about a fun giveaway so you can give the gift of creativity to the kids in your life!! KLUTZ HANDMADE FOR THE HOLIDAYS GIVEAWAY!! 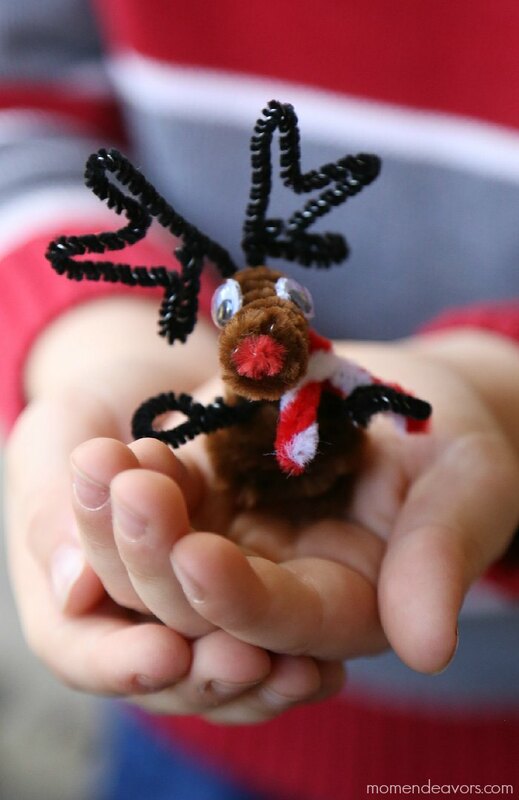 Make the season merrier with handmade gifts for the holidays with a little help from KLUTZ. With so many projects to choose from, get KLUTZ activity kits to make something for everyone on your list. Enter below for a chance to win your own KLUTZ collection to create handmade gifts this holiday! Details on all the books follow the giveaway entry widget! Enter using the Rafflecopter tool below. Giveaway open to US addresses only (prizes by Klutz). Good luck! Which book would your kids like the best? Disclosure: This post is part of a sponsored campaign with Klutz books! As always, all opinions and experiences are entirely my own. Our little cousin loves crafting. She would really enjoy the hand knitting book. My daughter would like the string art book. I think she would be most excited about pop collage. 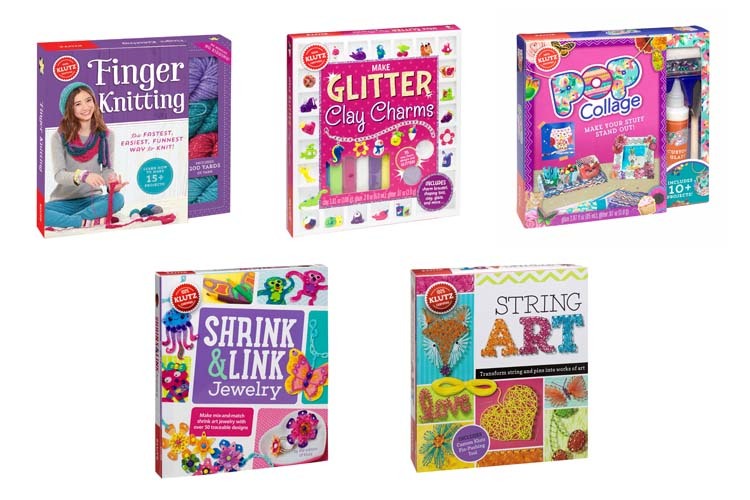 My niece would love the String Art book. My daughter would love the string art because its a new craft we have not tried before! My daughter’s birthday is coming up and she would love any of these kits but I think she would enjoy Pop Collage the most. Thanks so much for the chance to win these! My daughter would defintely enjoy the glitter clay charms. I think my daughter would like them all! But I bet she’d go for the string art first! My nieces would love the finger knitting book! I think my niece would like the Make Glitter Clay Charms. The String Art book would definitely be a favorite! Definitely the glitter clay charms book. My Neice would adore the glitter clay charms! She loves all things that let her explore her creativity. I think my niece would really enjoy the pop collage!